Geneva - Over 117 vulnerable migrants are believed to have perished in the winter waters of the Mediterranean Sea on Friday marking the second tragedy in just two days and bringing the total number of migrant deaths on the Mediterranean Sea to 200 through nearly three weeks of the new year. News of this second dramatic shipwreck arrived with the rescue of three survivors who were interviewed by IOM staff Saturday on the island of Lampedusa. 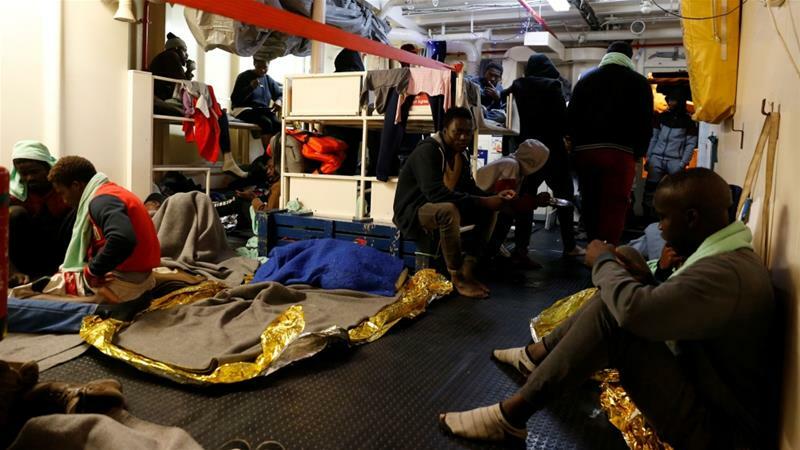 IOM Rome's Flavio Di GIacomo explained that on Friday the Italian navy brought to Lampedusa two Sudanese nationals who said they survived the sinking of an overloaded rubber boat that left Libya the previous day. A third survivor, from The Gambia, confirmed those details. Port of Garabuli on Thursday night. The survivors said after about 10 hours at sea the dinghy started to take on water and many of its passengers drowned. The three men managed to stay afloat for several hours before being spotted by an Italian Navy patrol plane some 50 miles off the Libyan coast. Subsequently, they were rescued by an Italian Navy helicopter and brought to Lampedusa. The survivors explained that among the people drowned were ten women, one known to be pregnant, and two children, incuding a 2 month-old toddler. These were not the only rescue operations carried out in these last few days in the Mediterranean Sea, IOM Rome reported today. The NGO ship Sea Watch rescued another 47 migrants while two days ago 68 migrants were rescued by the Italian Coast Guard and brought to Lampedusa. All of these migrants had left from Libya bound for Europe. IOM Libya Saturday also reported at least two search and rescue missions carried out by Lybian units which returned dozens of men, women and children to shore. IOM is also seeking information on those survivors. With these latest shipwreck events the death toll registered by IOM in January on the Mediterranean has now reached a total of 200.